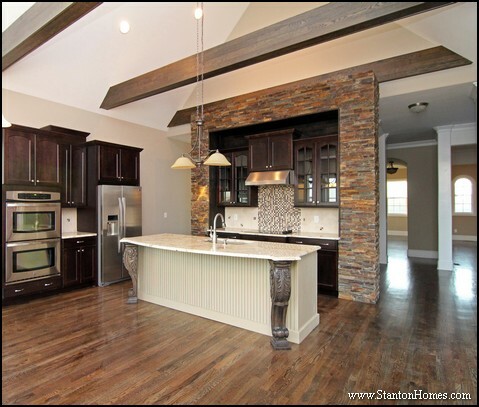 Kitchens will continue to be gathering places in 2017 new home designs. Here are home builder predictions for the most popular kitchen trends in 2017. 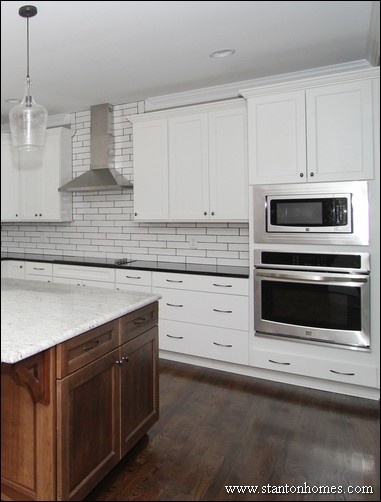 White cabinets are have been a top request in kitchens for the past few years. 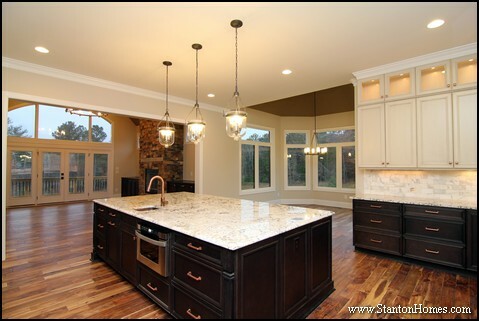 However, you're going to find more kitchens with clean, crisp Shaker style cabinets. 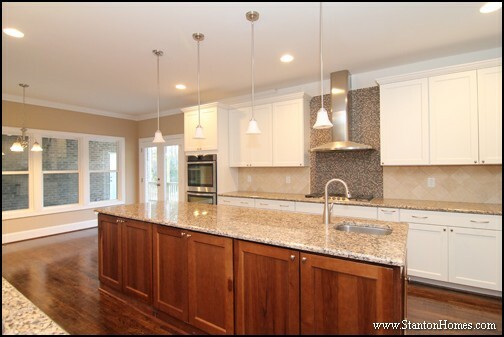 What do shaker kitchen cabinets look like? 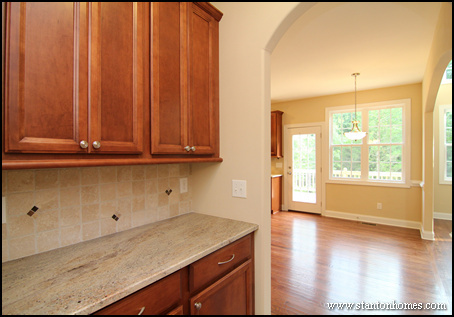 The term "shaker" refers to the cabinet door style. A shaker style cabinet door uses a five-piece design, with a recessed center panel. 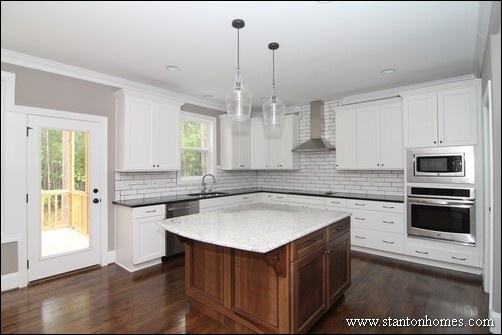 This Chapel Hill custom home kitchen uses two styles of drawer fronts with the shaker cabinets: slab and shaker. The "slab" drawers in this photo are white and the "shaker" drawers are stained wood. 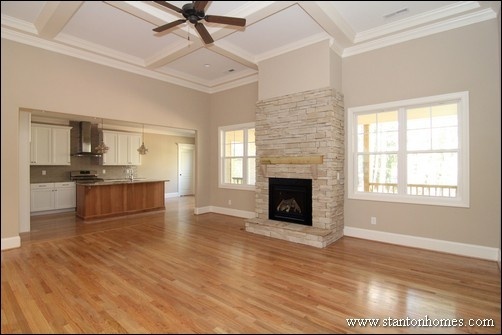 Oversized islands are huge in Raleigh new homes. 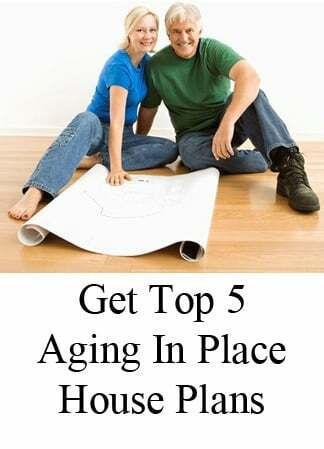 The more seating, the better, for many floor plan designs. New home floor plans are integrating more natural light into the kitchen, with windows above teh sink as a key area where more light comes in handy. 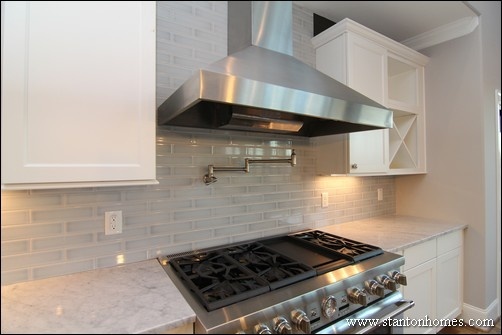 Windows aren't always placed above the sink, though. 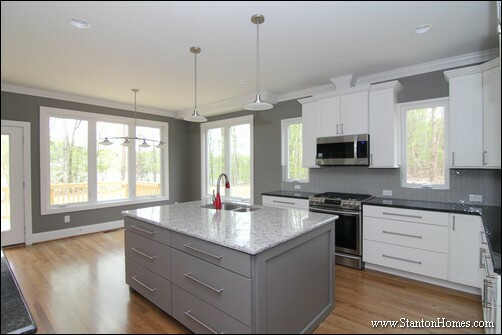 When the sink is in the island, kitchen layouts can add windows on the perimeter walls, like this design with windows on each side of the range cooktop, These windows are designed to give 360 degree views of the Raleigh river front homesite. 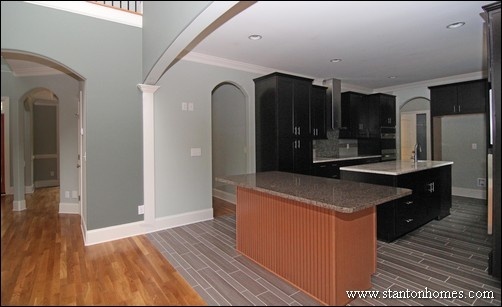 Columns in the kitchen are a debated trend in our home building experience. 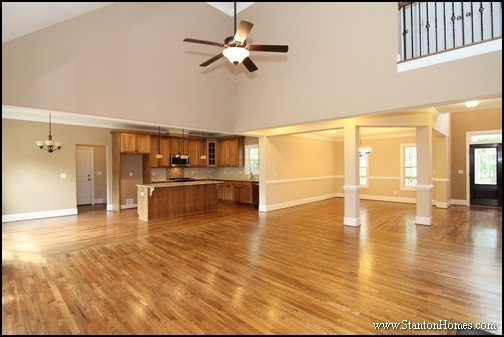 Some love the fully open kitchen concept, with no barriers between the island and great room; others want the columns as a decorative touch (or for framing things like a raised eating bar). 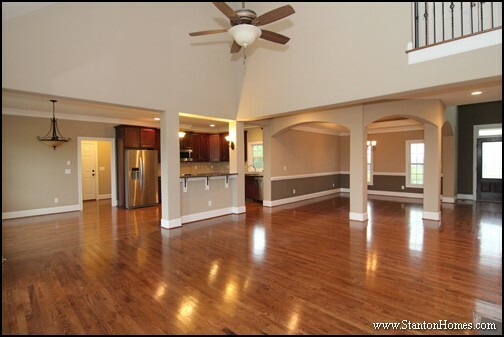 Which is your favorite, the columns or no columns in the kitchen? 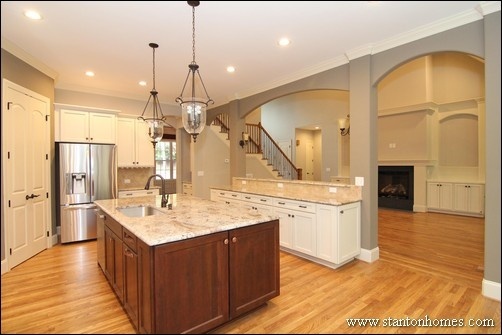 As kitchens get bigger, they tend to include a second island between the kitchen and great room. When we say islands are getting bigger, we mean it! This island is about 10'x5'! And a mud room that doubles as a laundry room is usually around 7'x10', only two feet longer than this island! Prep sinks in the island - and pot fillers above the stove - are both popular kitchen design features we expect to see more of in 2017 new homes. This tucked-away butler's pantry is located under the stairs, between the kitchen and formal dining room. 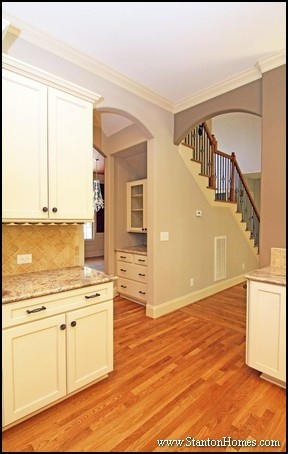 Adding a butler's pantry, or closet, under the staircase is a great use of space, adding efficiency to your floor plan! A butler's pantry usually includes upper and lower cabinets with a counter top area. 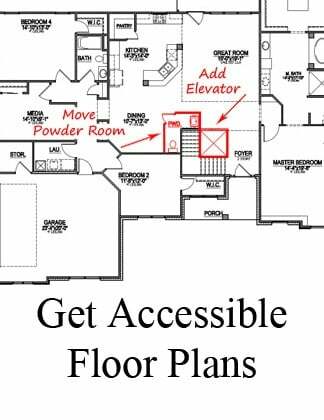 In most floor plans, the pantry is located in a "secondary" space - somewhere between the kitchen and eating areas - to help spread out entertainment areas during large events. These storage areas are also used as long-term spaces (for holiday platters and less-used large items). 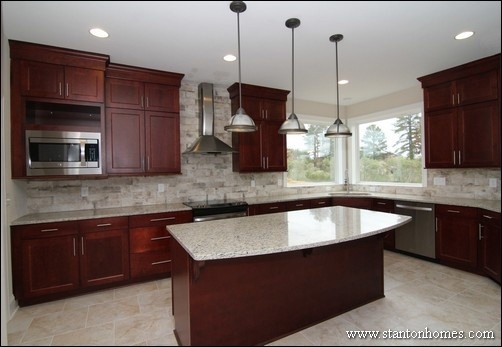 Let us know what kitchen layouts, designs, and features you like most. 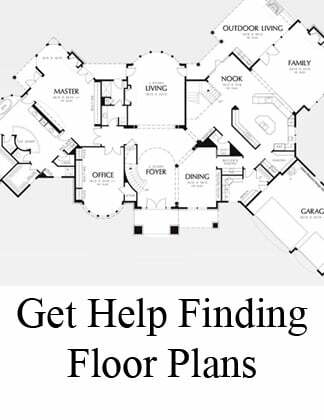 We’ll listen to your ideas to design and build a custom new home just for your family. 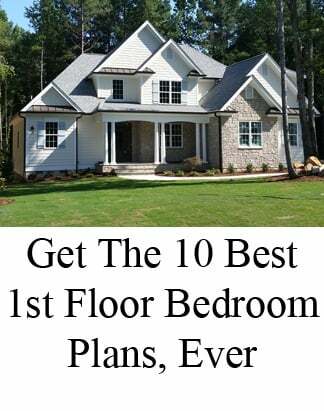 Why do main floor master homes cost most?